The OSC provides members with top-quality natural gas savings and service through a partnership with Constellation New Energy (Formerly Compass). In addition to discounted rates off the Standard Service Offering (SSO), OSC has dedicated staff to help monitor your usage and utility bill charges as well as provide representation before the PUCO. A past audit on Transportation fees saved members over $31,000 a month! There are currently 157 districts in the OSC Natural Gas Program. You don’t have to be an OSC member to join the program. E-mail bdelroso@osconline.org to get a FREE Natural Gas Audit today! 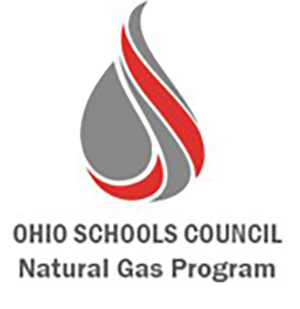 The OSC Natural Gas program provides an economical cost for natural gas, combined with a Level Billing system that helps school districts avoid budget surprises due to the cost and usage of natural gas. The OSC annual bid for natural gas, based upon the average usage of our participating school districts, provides tremendous buying power and control of the market place. With the assistance of legal counsel, the OSC reviews, evaluates and awards a bid for natural gas based upon usage estimates for all participating districts. The OSC estimates the annual gas cost per mcf and the monthly usage for each school district. This process creates the level billing which is utilized to provide monthly invoices to each school district. Annual ‘True-ups’ to the Level Billing Program occur each September, to account for the actual cost of natural gas and each school district’s actual gas usage. (216) 447-3100 x 6111 to learn more.